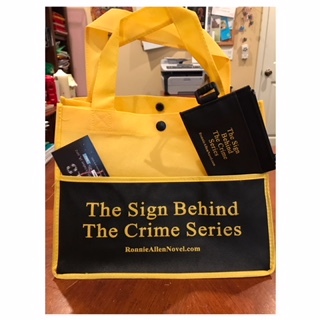 Today I have the pleasure of interviewing Dr. John Trenton, the heartthrob forensic psychiatrist who made his debut in Gemini, The Sign Behind The Crime, Book 1 in June 2015. It’s 2.5 years later, and he’s back in book 3 of the series, Scorpio. It’s not like he’s been inactive. 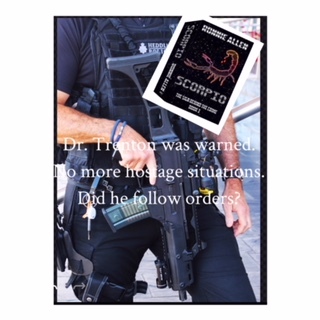 In 2016, in book 2, Aries, he appeared as a consultant, debriefing Detective Samantha Wright when she had her first trigger pull. It’s thrilling to have him back. R: Hello, Dr. Trenton. It’s wonderful to speak with you again. JT: The pleasure is all mine, Ronnie. I’m still not back at Manhattan Psych yet full time, so this is a great diversion for an hour. R: When are you going back? JT: My sabbatical was for a full year, and Dr. Kessler, my interim replacement was contracted for that amount of time. But working on the Scorpio case is taking my time and more. I’m officially going back the end of the month. R: I’m sure. What brought you back to NYC? JT: It’s heartbreaking, for sure. Bobby Mitchell who was instrumental in me saving my wife and Ricky in the Gemini case was murdered at the halfway house. Detectives Lex Withers and Bella Richards who came aboard at the end of Gemini, were assigned to this. And with all my nudging, they went along with me and we got to the bottom of Bobby’s murder. I’m not telling it here, but I wouldn’t mind you putting an excerpt in at the end of this interview. R: Thank you for your consent, John, I definitely will. So readers, read to the end, and I’ll include a never before seen excerpt. How did you become involved in Scorpio? JT: Whew, long story. Lt. Rojas allowed me to come back from Florida to profile Bobby’s murder. Dr. Frank Khaos had discovered something very tragic and I’ll let him tell you about it, but the bottom line is that Lt. Rojas threatened to take him off Samantha’s friend’s murder, and me off Bobby’s case if either of us couldn’t handle it. 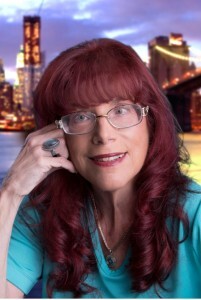 Then we had a break-in in my home in Scarsdale, and the cases became intermingled. Yeah, it’s complicated, but you know how Ms. Allen writes multiple subplots. R: Yes, I certainly do. So how is your family adjusting to NYC winters? JT: It’s rough. Ricky has never been in snow, and Vicki hates the cold, but she loves her new kitchen and as long as the twins and Ricky are doing well, she happy. We’ve been getting together a lot with Sam and Frank, and Ricky and Frankie have become friends. Ricky has been talking a lot to Frank. R: That’s wonderful. What are they talking about? JT: Well, you know Ricky’s formal adoption went through last February, and now he’s a Trenton. And Frank was adopted. Ricky asks him a lot of questions about how Frank felt when his parents gave him away. That’s an abbreviated answer, but the Scorpio case brought up many feelings in Frank about his adoption. Again, I’ll defer to him to answer. You’ll be interviewing him again too, I’m assuming. R: Yes, definitely. So what’s going on with you? JT: Well, I was very happy to solve the case of Bobby’s murder. The kid didn’t get a fair shake in life, I wanted to make sure he got his justice in death. Lex and Bella put their all into this case. They’re great detectives. The Scarsdale police department let me become involved in the case of my home invasion because I had the time off, so it was a professional courtesy, and the ring of women who was responsible is in my target age group. It got tricky because the leader Abby Ruthe turned out to be Frank Khaos’ niece. And then I was drawn into another hostage situation when the killer, Henry Slater took Samantha hostage, right in his apartment. R: Oh my goodness, John, weren’t you warned against that? Strongly? Like you could lose your medical license? JT: Yeah. What can I say? I’m a hostage situation magnet. But it turned out ok. FBI Agent Brett Case had my back, and he made nice to the doctor who’d put that in writing. All is good. But it was close. R: You know? 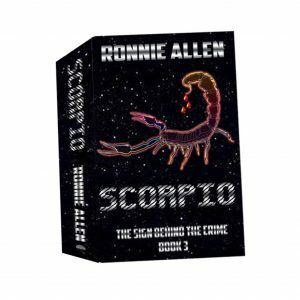 You told me a lot about Scorpio and of course, I don’t want to tell too much because Ms. Allen wants everyone to read the book, so how about I put in the excerpt now? “As long as we’re here, let’s get started then. Bella, take the third drawer. Trenton, you and me, will start with these files.